← My Design Wall Has … A Design On It! Speaking of which, I am All About Moda. I am in love with Moda. I am especially in love with Moda on eBay. I found a seller offering Moda charm packs for about $5 apiece, and I scooped a few up (not under the influence of Ambien, even.) They arrived today, and oh my – they are lovely. Breath-taking. This may be the most photo-heavy post I’ve made yet, which is really saying something, but here we go! 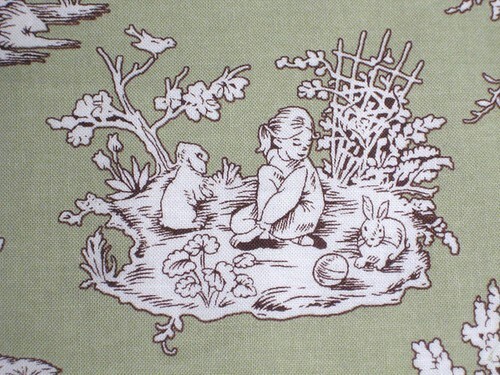 It came with the fabric included, but I have to find out who makes these prints – they are wonderful. The centerpiece has really sweet scenes, one of which plucks my heartstrings and reminds me of myself as a little girl. There are puppy dogs and CHICKENS! 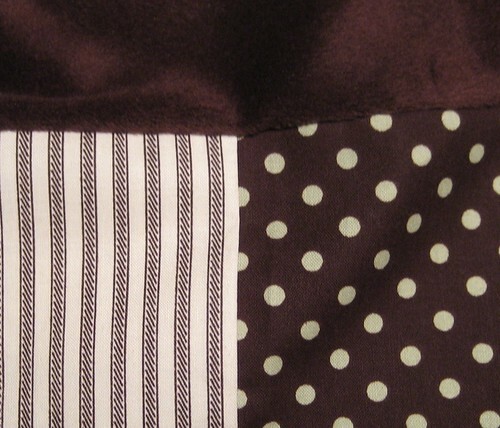 There are both stripes AND polka dots! 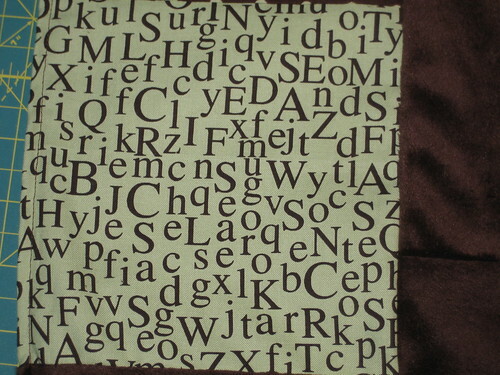 The alphabet in milk chocolate brown marches across Andes-mint-green in a jumble. All of the prints – all of them are perfection. The kit said “don’t pre-wash,” so I didn’t – and I liked it. The cutting wasn’t even problematic… except at one point when my rotary cutter just suddenly decided to take a sharp left turn for No Apparent Reason, cutting right into one of the blocks. Limited fabric, no way to get around it. Boo! I reassembled it as best I could, and in the finished product, it’s barely visible, thankfully. When rotary cutters go wrong! It’s not flaw-free, oh no, not at all. But I’m giving myself a pass on this one, because one component of the kit was the equivalent of Fabric Satan: 100% polyester fleece. This stuff is an abomination. It does not respect irons. It does not respect PINS. It squirms and slithers and stretches and morphs and mutates. The guide advised pinning it every half-inch. Oh, ffs. Fine. I did. It didn’t help. I’d start pinning a panel together, making sure the tops were nice and aligned; put in two pins, still aligned. Third pin? Suddenly, the tops were off by a good 1/4″. What the hell, polyester? 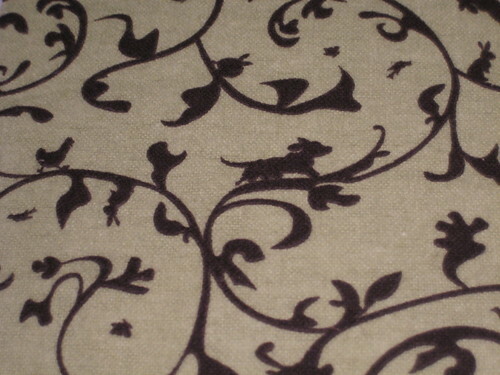 If I make this pattern again, and I may well, I’ll be replacing that crap with a nice, chocolate brown Kona solid. 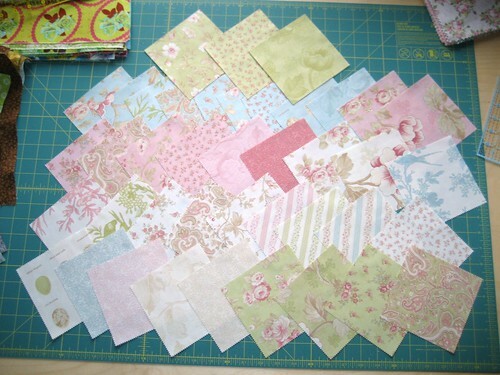 I want to rip the ugly country fabric off the design wall and put up the charm packs, but I vowed to finish that sucker. Is the vow more important, or having fun? Even though I finished a project, I also started that same project today. 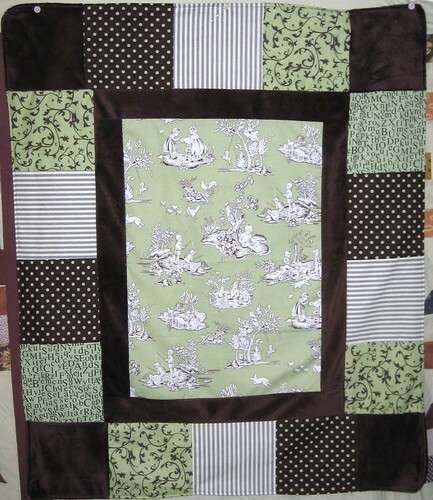 The original thought was to finish something, anything, and I picked that stupid country quilt. Maybe this counts, instead, and screw the 9-patch for awhile. I love all of these little charms, except the weird brown frondy one. Charm packs may be the best thing going for me right now. I don’t have to cut them, and if I don’t prewash them, there’s no pressing, no clipping. They’re all the same size. The pinked edges even make it easy to line them up. It’s a good way to take a colorway for a test run, see if you like it in person, what looks good with it, before you spend a metric honkload of money on yards of it. Now, take a moment to still yourself, so you may bear witness to Moda’s Aviary collection – sublime. 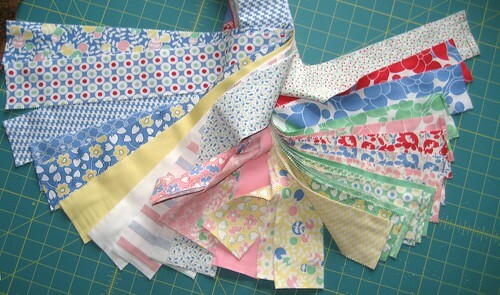 I so fantasize about being a size 5 and making a cute little full-torso apron out of Hello Betty! 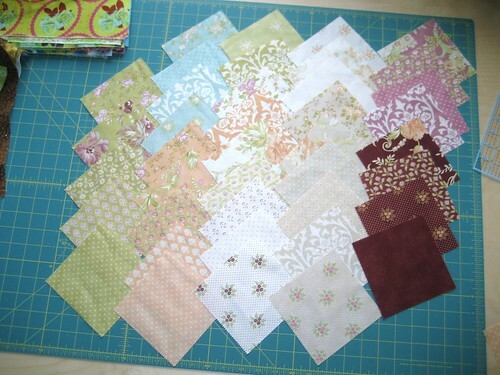 I suspect this will go into a strippy quilt, and not into blocks. Each group has one or two prints I’m not wild about, but most are grand. This one will be hard – not only is it pink, but there are hearts. <shudder> It’s ok – I’ll make a small little project out of it, it’ll be fine and maybe it’ll cure me of hating it. 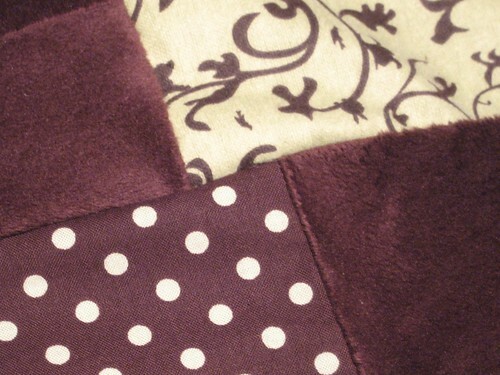 The only saving grace is the brown – turns out, I like pink on brown, or vice versa. 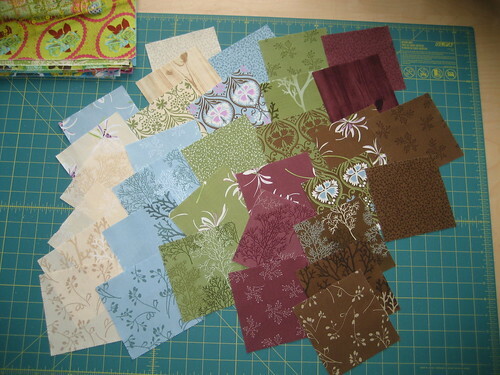 The far left green scroll, the charm pack and the brown/red floral are from JoAnn. The other three are from Hancock’s of Peducah or some such place. I adore the paisley! I also really like the green scroll. 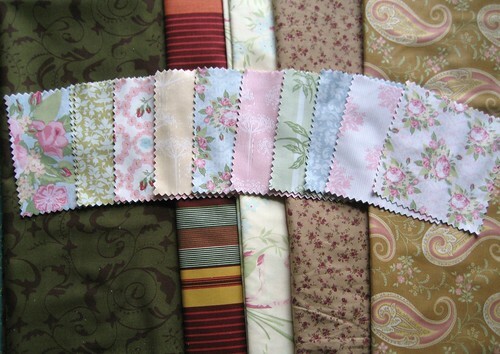 The lighter floral is nice, the darker floral is for a border on the country quilt, maybe. Ok – it’s late, I need to go to bed. 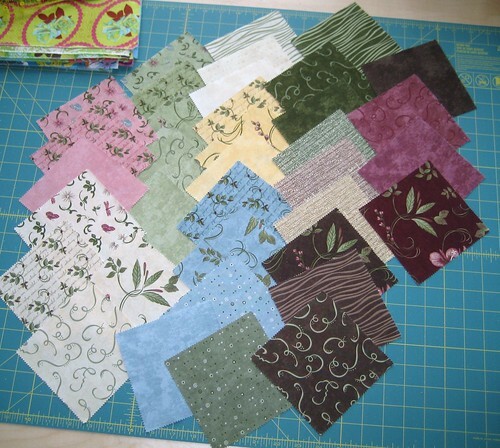 But I’m all excited about Projects With FanTAStic Colors!! 2 responses to I Finished Something! 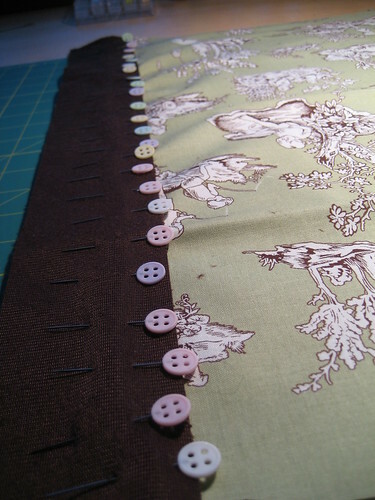 Clover makes a “fork” pin which is a u-shaped pin that works wonderfully for pinning nested seams together. 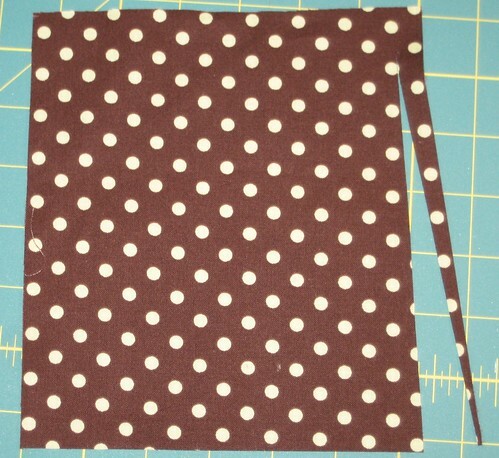 Hard to describe but really helpful to keep the matching seams together while you’re sewing them. Best part is that when you have it pinned so that the seams match, they will still match after you’ve sewn it. Too often when trying to use separate pins I would find that it would shift during the actual sewing. Not with these pins. 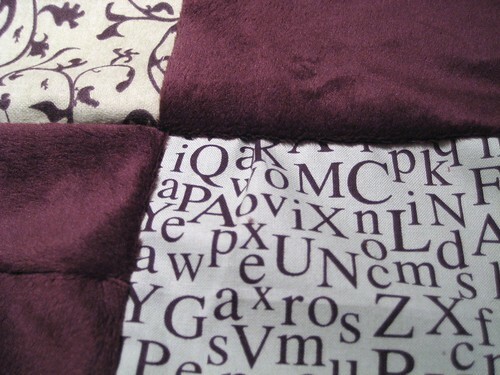 They also hold down the seam allowances so that they don’t flip over creating a bump when you are sewing the seam. 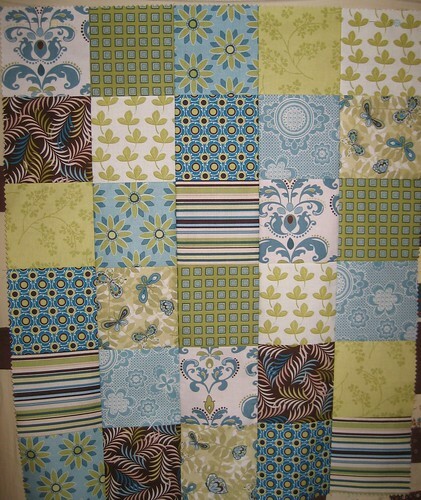 Love the colors of your chocolate and mint quilt.